Swimmers do not have to be a member of USA swimming to compete. If you are a USA Swimming member, please enter your USA ID # during registration. The youth and masters will compete in the same meet. This is a meet for individual competition only. THERE WILL BE NO RELAYS. Timed finals in all races. All swimmers will be deck seeded. The depth of the starting end and turn end of the pool measured a distance of 3.5 inches from both ends of the pool. The competition course has been certified in accordance with USA Swimming Rule 102.2.2C(4). A copy of the certification is on file with USA Swimming. 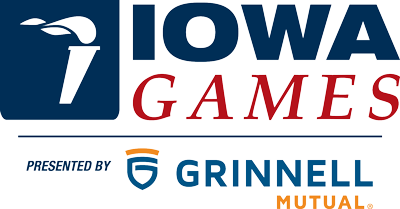 In granting this approval, it is understood and agreed that USA Swimming and Iowa Swimming, Inc. shall be free and held harmless from any liabilities or claims for damages arising by reason of injuries to anyone during the conduct of the event. Use of audio or visual recording devices, including a cell phone, is not permitted in changing areas, restrooms, and lockers rooms. Deck changes are prohibited. Current United States Swimming rules will be used. U.S. Master Swimming rules prevail where noted herein. If you are unfamiliar with the technical rules used in USA or Masters Swimming regarding freestyle, breaststroke, butterfly, and backstroke this information can be found at the USA Swimming website by clicking HERE. Knowledge of these rules may help avoid disqualification. Gold, silver and bronze medals will be awarded in each age/gender division. No medals will be sent, please pick up medals prior to leaving the site. USA Coaches are allowed on deck with proper identification. In events with few athletes, the meet management has the right to seed divisions together. Seed times should be in yards or NT (no time). Please indicate on entry form. The 500 yard event is not guaranteed as it is based on the number of swimmers. If athletes swim a distance event (500 or longer), they will be expected to count for another individual in a different heat of that event or arrange for a person to serve as their personal lap counter. Heat Sheets will be posted here when available. The 500 Free, 1650 Free, and 400 IM are positive check in events. Swimmers that signed up for those events need to check in with meet staff at the beginning of warm-ups each day and declare their intent to compete in those events. The Meet Director has the right to combine heats and/or events based on actual numbers.